Maloca is a grassroots support organization that works with indigenous peoples living in the Amazon basin. Maloca works directly with indigenous leaders as well as with an array of volunteers and sponsors in the U.S. to raise awareness about the needs of community partners and find means to help them establish self-sustaining strategies to address these needs. 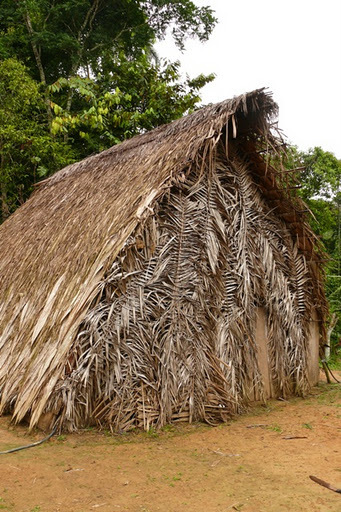 Maloca is the traditional house of the indigenous people that live in the Amazon rainforest. It is the place where they live, where celebrations and rituals take place, where the family gathers, where kids play, where the whole community life with all its aspects takes place. Maloca is symbolic of the indigenous peoples’ approach to supporting culturally-based and community-identified strategies for defending their culture and territory. * MALOCA is an affiliate of Village Earth, a nonprofit charity exempt from federal income tax under Section 501(c)(3) of the Internal Revenue Code, and which is not a private foundation because it is described in Sections 509(a)(1) and 170(b)(1)(a)(vi).